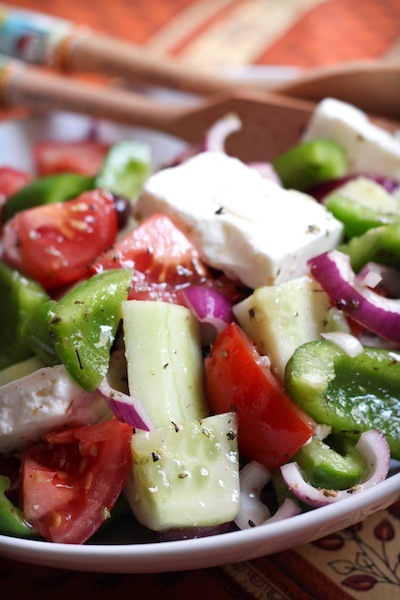 Go Big, Go Greek: Classic Greek Salad – Eat Me. Drink Me. 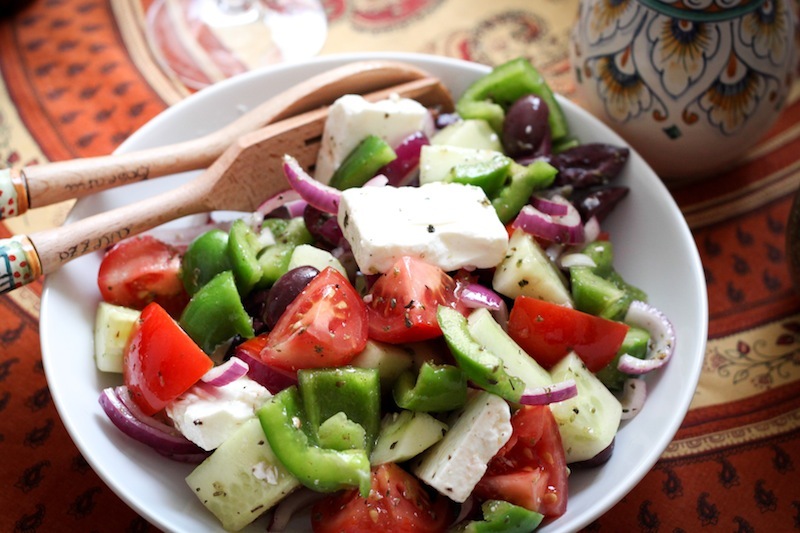 So when I think back on how to “go Greek,” I think of those three things: bouzouki music, dancing, and big plates of salad. Of course there’s the sunshine, the ruins, the sweet blue sea, and all that history – but the salad, at least, I can take that home with me. 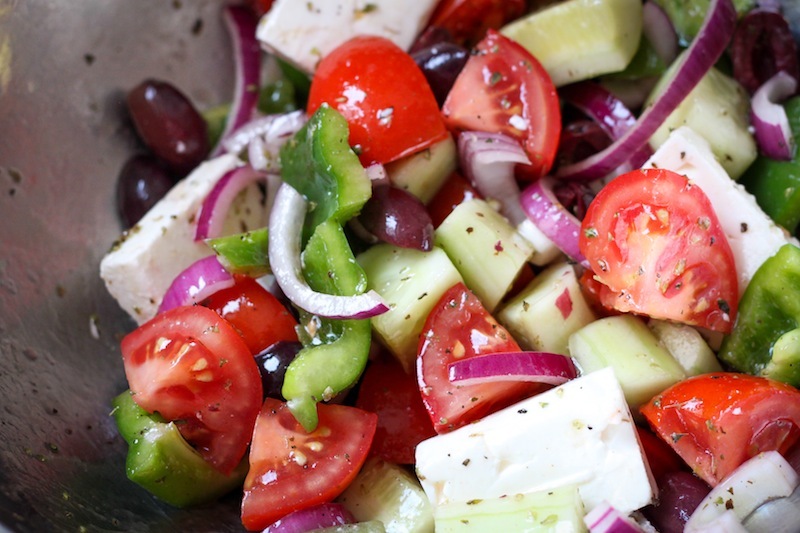 There isn’t much to Greek salad, but to make a really good one, the trick is in using the freshest, ripest ingredients possible. Don’t skimp on good olives and cheese – every component really needs to shine. 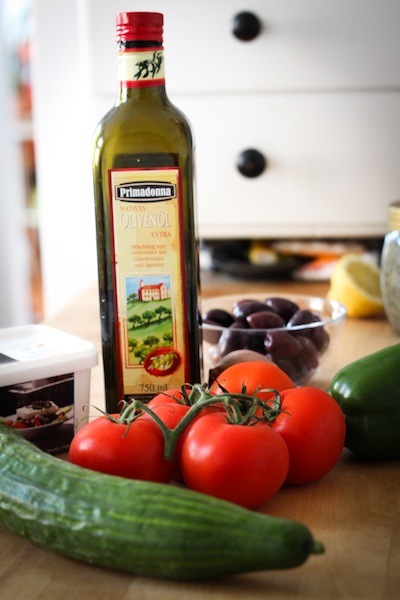 In Greece, I was surprised by how coarsely all the vegetables were chopped – and this is why using excellent, fresh ingredients is important. 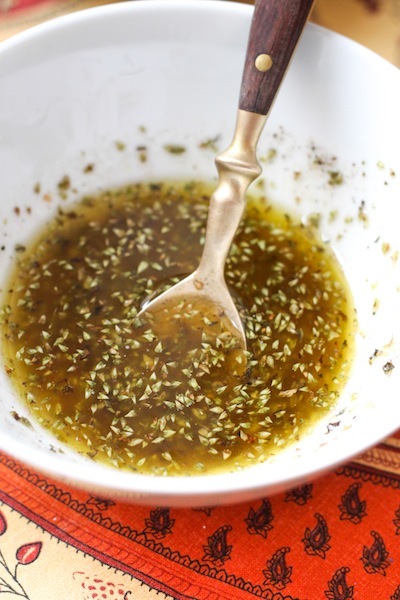 Their flavor beautifully balances the tart dressing without getting lost in it. 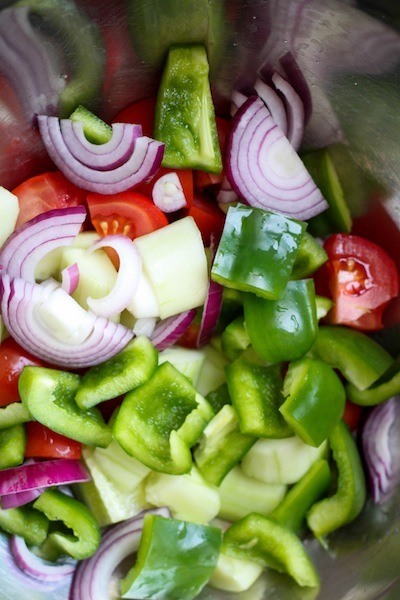 Prepare tomatoes, onion, green pepper, cucumber, olives, and feta and place them in a large mixing bowl. 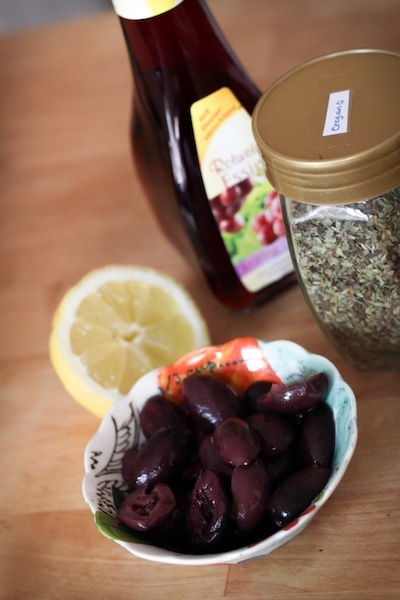 In a small bowl, mix olive oil, red wine vinegar, lemon juice, oregano, salt, and pepper. Whisk to combine. Pour over salad and toss. 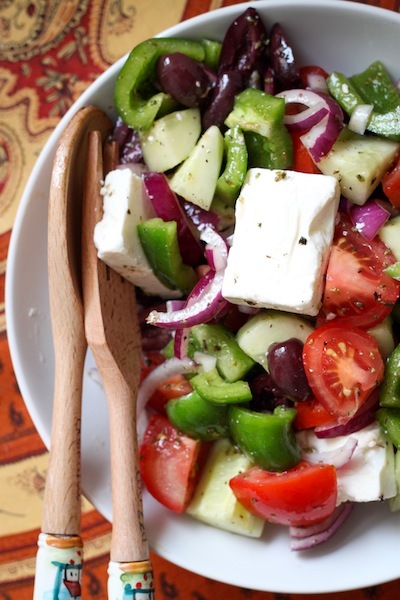 After reading this, I have to go make and eat a Greek salad so I will stop drooling. And I’ll dance a little, too, while la-la-ing the theme from Never on Sunday. But I will not pay my debt to the EU!